Seniors Kortney Betz and Nikki Sisson posing together at the finish line. The Roots N Blues N BBQ Festival’s half marathon Sept. 29th served as additional training for the pair before their regular season action this weekend. 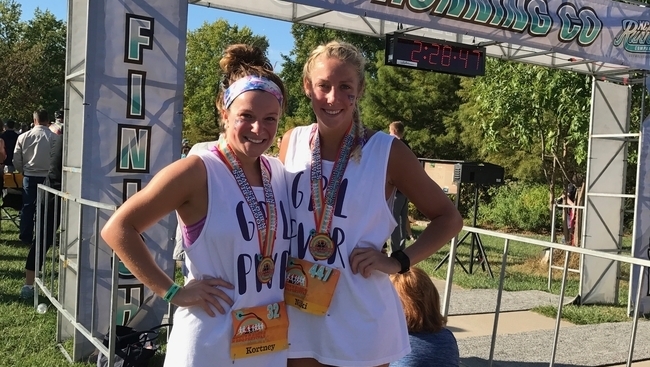 Two Truman State University swimmers raced on land as they made their way across the finish line during the weekend of Sept. 29th for Columbia, Missouri’s, Roots N Blues N BBQ Festival’s half marathon — part of a festival the city hosts every fall. Aquatic seniors Nikki Sisson and Kortney Betz competed out of water for a change in their preseason training regimen. Betz and Sisson said they wanted to add a challenge to the training they were already doing with team workouts, and they said they wanted to feel a sense of accomplishment and pride after the run. After running 13.1 miles, Betz said they had something to be proud of. The pair vigorously trained in the weeks leading up to the run on top of their high-mileage September swimming workouts. With the upcoming season looming closer, Sisson and Betz said they were prepared for training this fall but knew — in this final preseason as collegiate athletes — they were going to have to push themselves if they wanted to complete the half marathon. Betz said team training had a positive impact on their overall running performance. Betz said they gained an aerobic base from their previous swimming workouts. Betz said an athlete’s aerobic base is built throughout time since the start of training, and the goal is to allow the body to use oxygen as effectively as possible. The two said this training increases endurance and speed, making the run a little easier than they thought it would be. Sisson said the pair had all the support they could ask for from teammates and coaches, both groups often advising and encouraging them along the way. 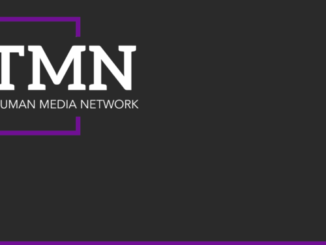 Sisson said there was never a question whether the team would have their backs, with the dedication and commitment the two were showing in their extra training. Family members and fellow teammates made the short trek down to Columbia to support Sisson and Betz, they said. The teammates surprised the women at the end of the run, while their family members showed support with signs they made. Sisson and Betz said the experience was fun and worth the added training, and both said they can’t wait to try it again. Sisson and Betz agree the extra training they did for this half marathon is going to pay off for the upcoming season, and with the first meet right around the corner, it could not come fast enough. While the two only have the season to worry about for now, both women said they want to go out for another half marathon after the season. Once they have their second round of 13.1 miles under their belts, the two said they are confident they will be able to complete a full marathon — an accomplishment the two Bulldog teammates said they hope to complete together.